TRISTAR Authentication is included with each Jeff Bagwell signature. According to the TRISTAR Productions website, except for children age 5 and under, there will be an admission charge for each day of the event. Jeff Bagwell is a former MLB first baseman who played his entire career from 1991 to 2005 for the Houston Astros. He was the National League MVP for 1994, the National League Rookie of the Year for 1991. Bagwell was also awarded the Gold Glove Award for 1994 plus he is a three-time Silver Slugger Award winner for 1994, 1997 and 1999. Jeff Bagwell is also a four-time All-Star for 1994, 1996, 1997 and 1999. The Houston Astros retired his numer 5 in 2007. 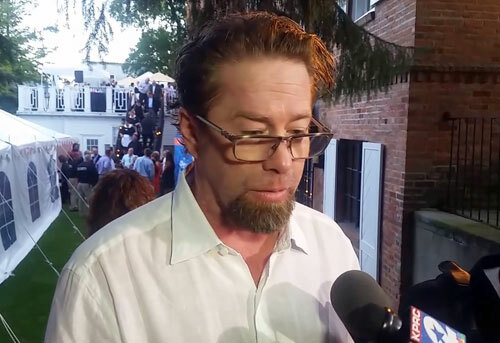 Jeff Bagwell was inducted into the Baseball Hall of Fame in 2017. Sports Speakers 360 is a booking agent for pro athletes. If you would like to book Jeff Bagwell for a speaking engagement, appearance or endorsement, contact a Jeff Bagwell booking agent for fees at 1.855.303.5450.